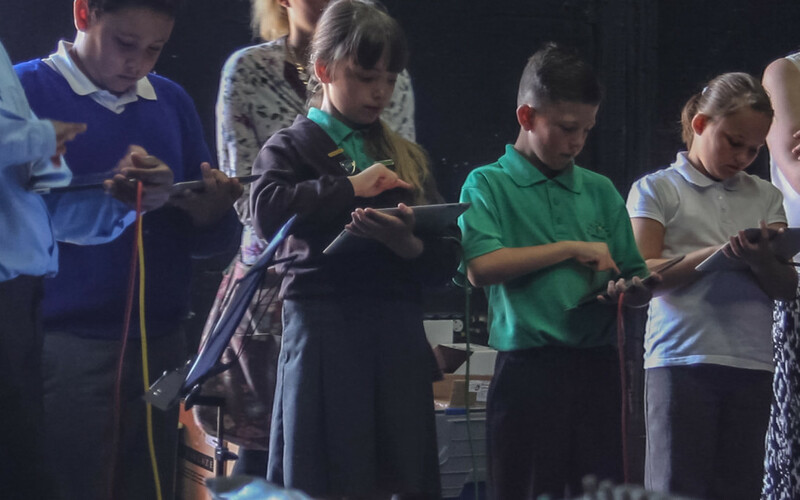 When the iPad was first introduced to the world, Elsium’s David Kirtlan immediately saw the potential of using it to engage non-musicians with music and allow them to take part in performances – and so the #ipadband was born. 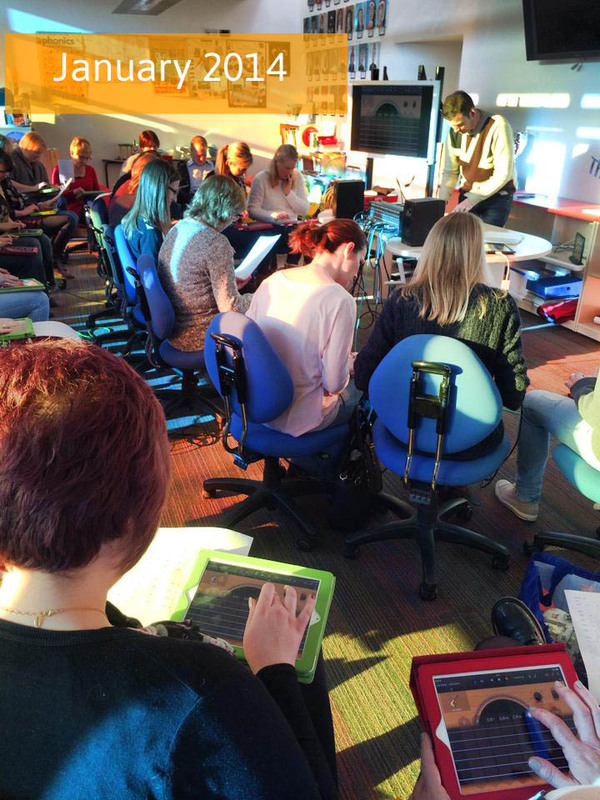 As the creator of the iPad band concept, David has worked very hard over the years to bring iPad bands into the consciousness of music teachers around the world. 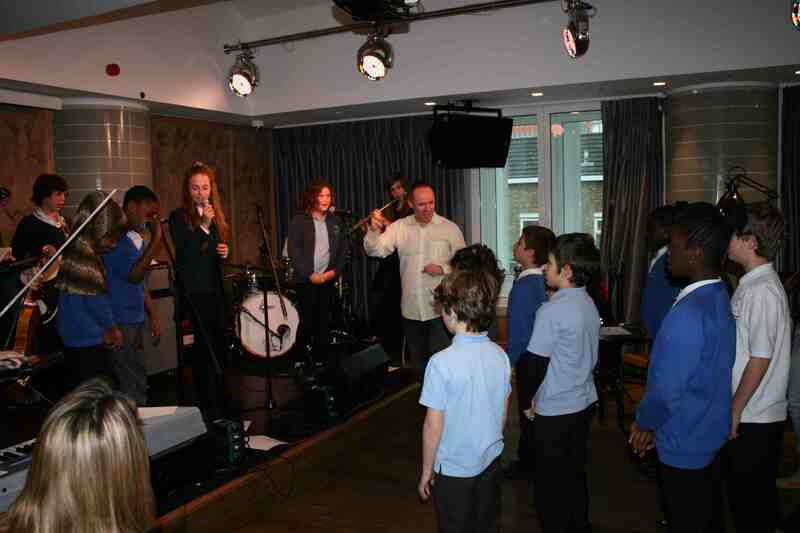 He has created bands with primary children, secondary students and SEN students. 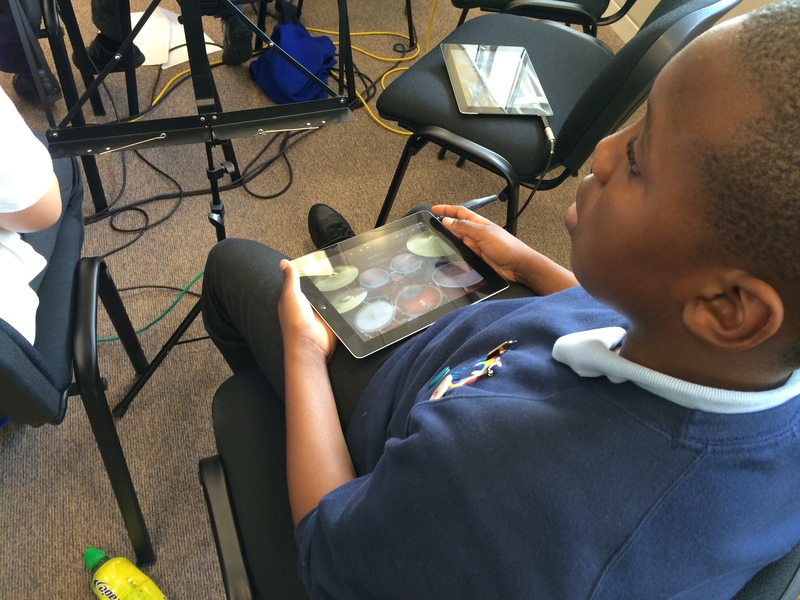 He works with schools to create, compose and rehearse their own iPad band. 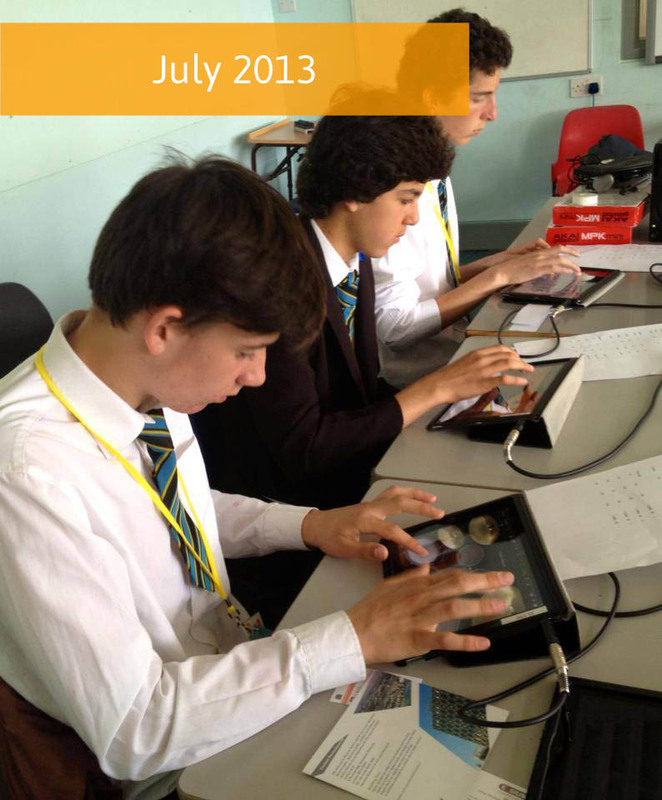 An iPad band is a great way of engaging all learners with music. Using the technology effectively, non-musicians are able to join their musician peers as part of a performance. 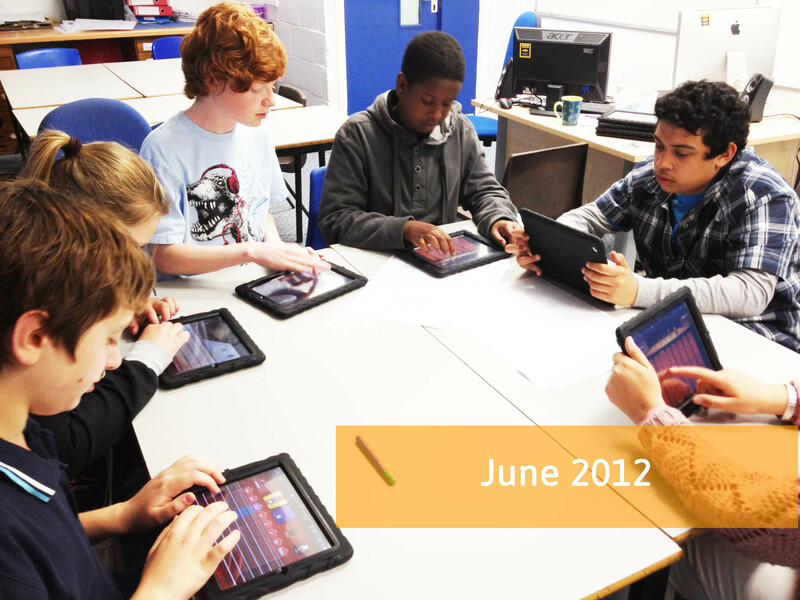 Enabling them to develop wider skills such as listening skills; collaboration skills; communication skills and more. 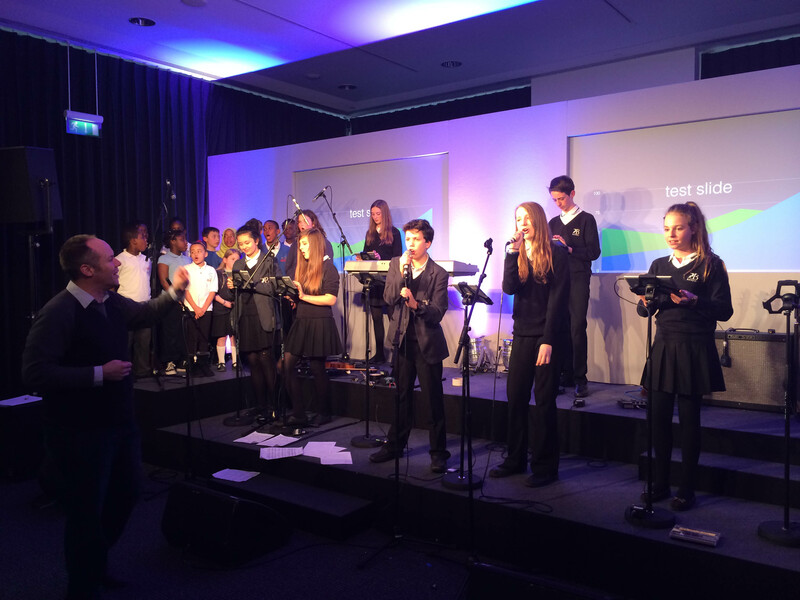 Many of our iPad Bands have performed at large scale arenas such as BETT, the Apple Leadership summit and more. 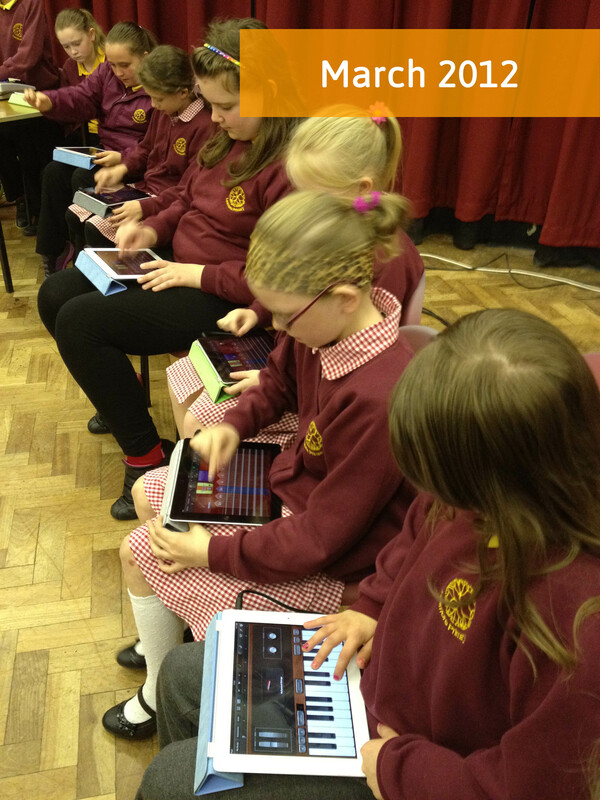 As the experts in creating, composing, arranging and rehearsing #iPadbands, here are just a few of the iPad bands we have created. This #ipadband band brought together two distinctly different schools. One an inner city London primary school, the other a secondary school from rural Hampshire. 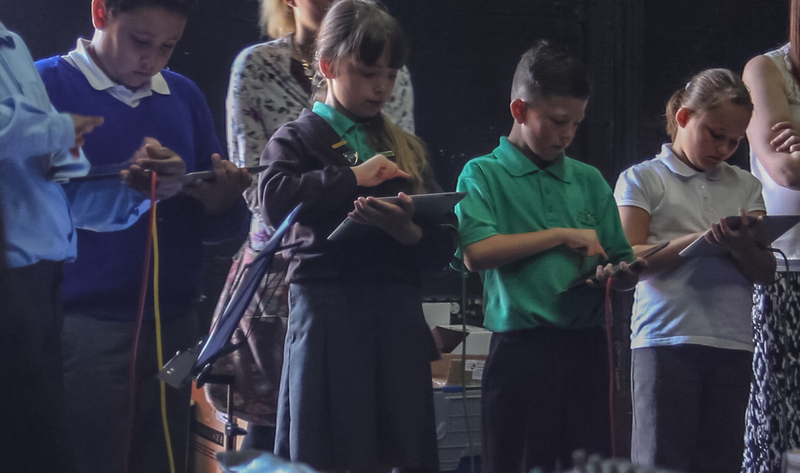 The Grazebrook Primary and Bohunt School #ipadband collaborated together over two years, with some large scale performances throughout the two years. 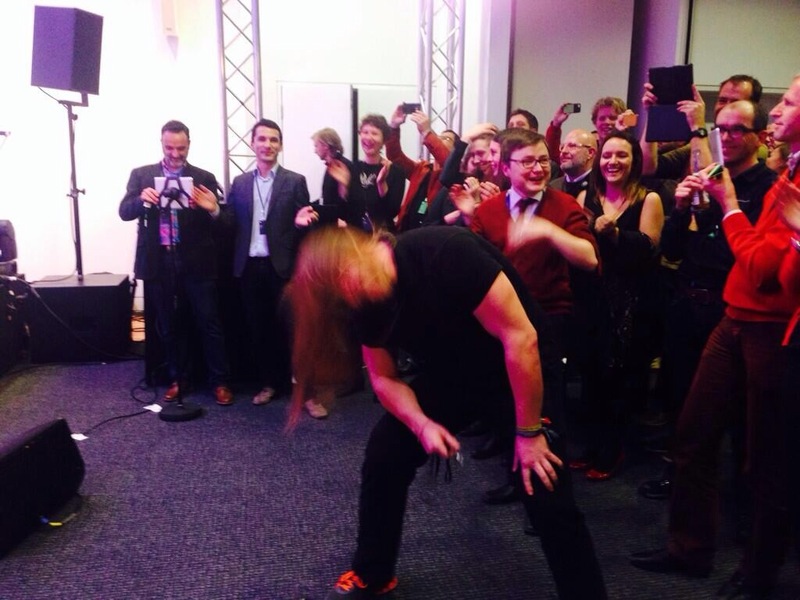 They first performed together as an ipadband at the Apple Leadership Summit, creating a hugely positive response from the audience, which were so impressed by them they began a mosh pit…. 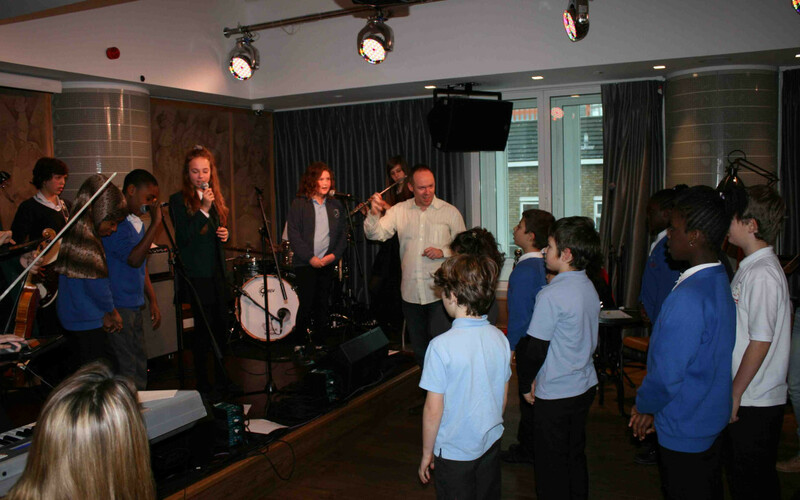 To follow on from their success, David then taught them further, with rehearsals at both schools. 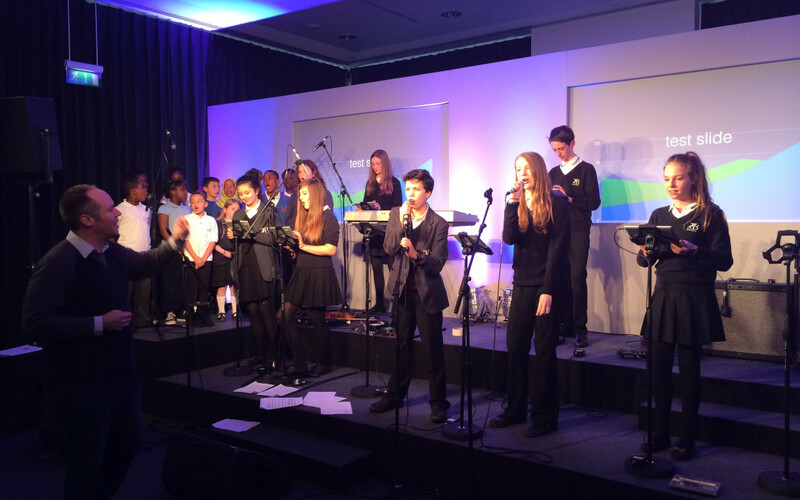 Their second outing together as an #iPadband rocked the thousands of attendees at the largest education technology show in the UK, the BETT Show in January 2015. 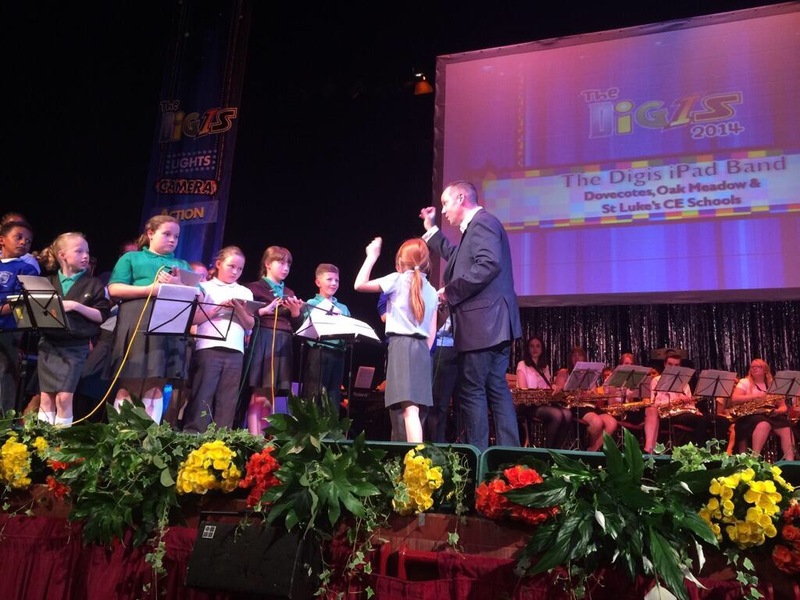 The show opened with an inspiring speech by Sir Bob Geldof, which was followed by the Elsium #iPadband, with Education Secretary Nicky Morgan MP then giving her speech on the future of education for the UK. The Elsium iPad band was made up of musicians and non-musicians. 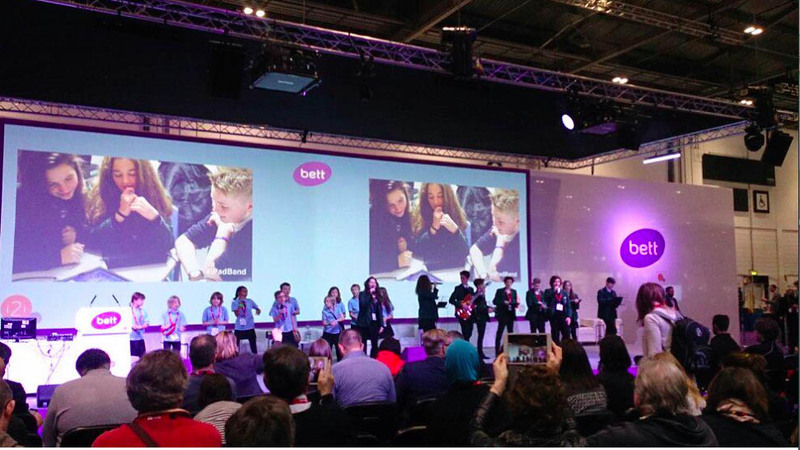 Led by Elsium’s David Kirtlan, the rehearsals leading up to the show were hard work, and we are very proud of the performances given by the band at BETT. 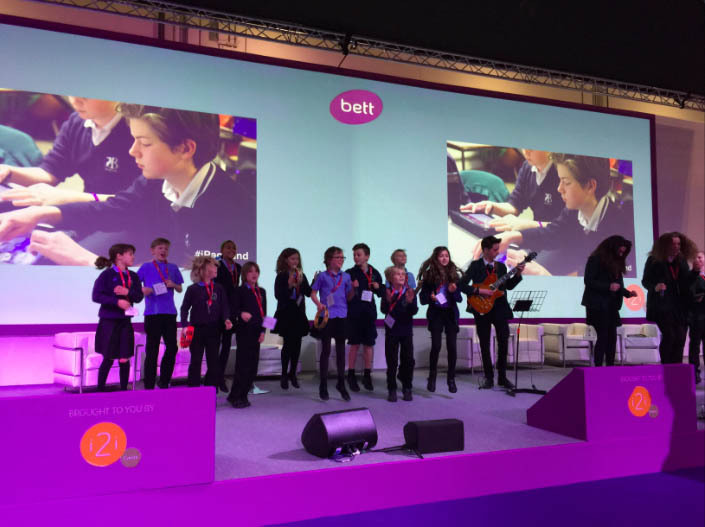 The band proved extremely popular with the attendees of BETT and complimentary tweets about the band and the performances were tweeted throughout the BETT show. 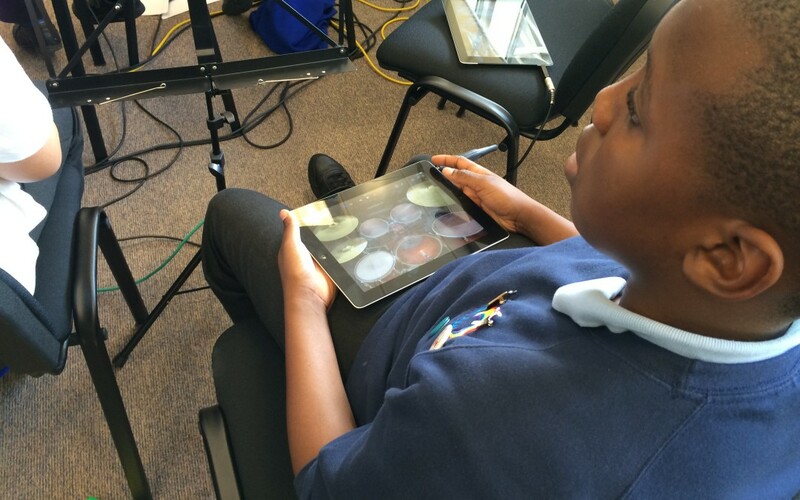 One band member was so inspired, she created her own iPad band, teaching younger students at the school STEM festival. 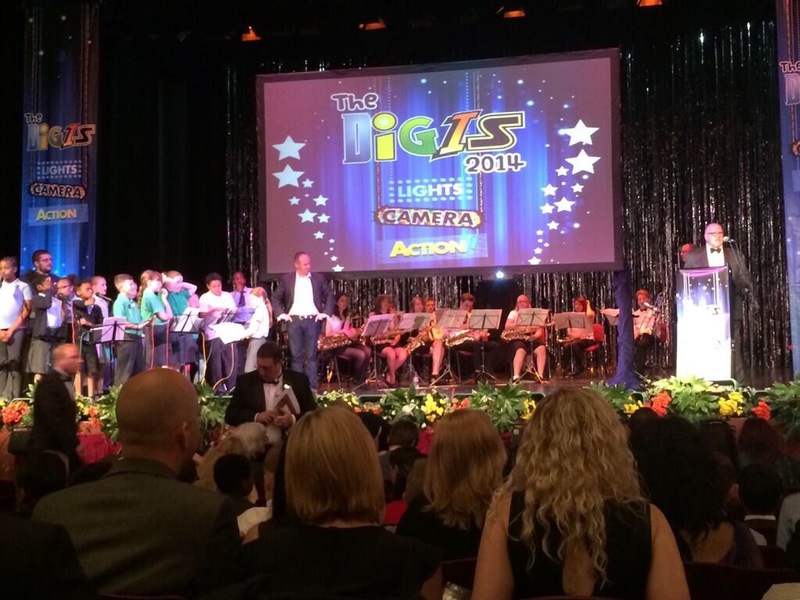 The Digi Awards were an event held to celebrate all the technology based work and projects children across Wolverhampton had been undertaking. 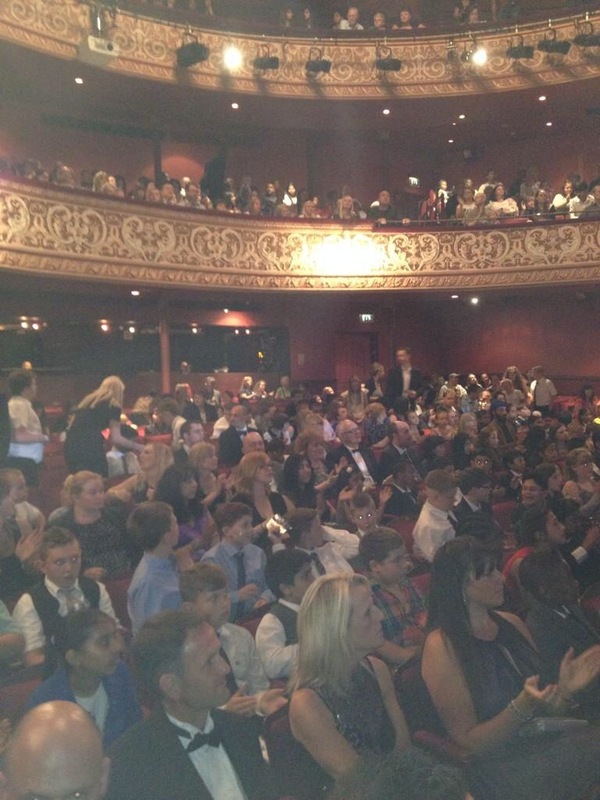 There were animations, films and lots of other digital learning categories for the awards. 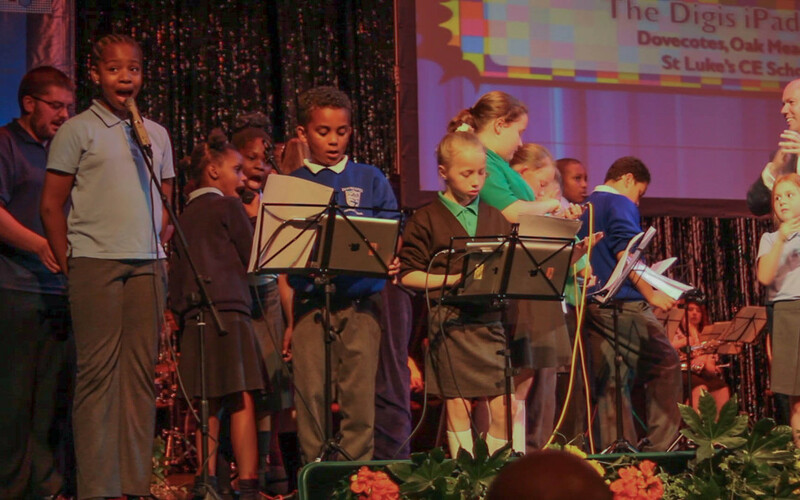 This #iPadband was made up of pupils from years 4 and 5, across different primary schools within Wolverhampton. The children had just one morning to rehearse. 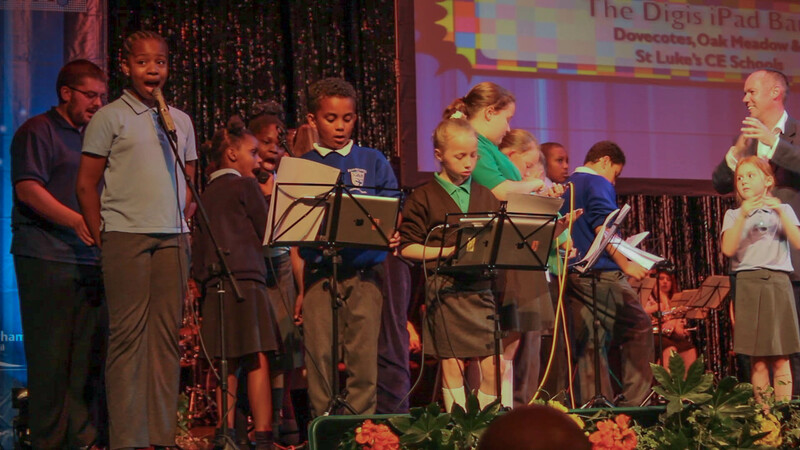 Working together the schools produced a great performance in front of an audience of hundreds of children, teachers, parents and distinguished guests. Working with primary children is always fun, and so when one little girl informed David she could do his job of conducting, he let her do so. You’ll see her in the video conducting not just the band, but the audience too……. 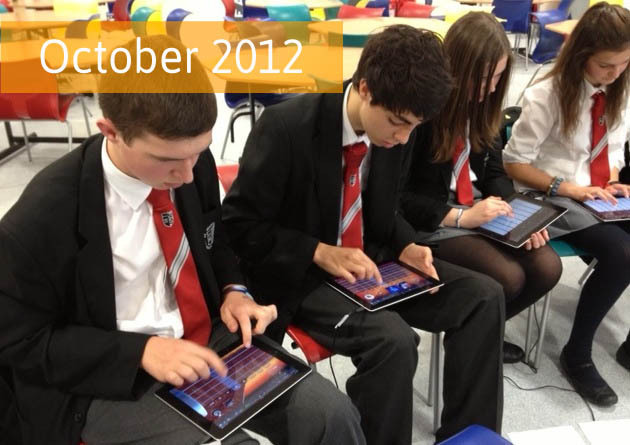 Working with Year 11 students from Hall Cross School in Doncaster, the #iPadband was performed at two separate events. 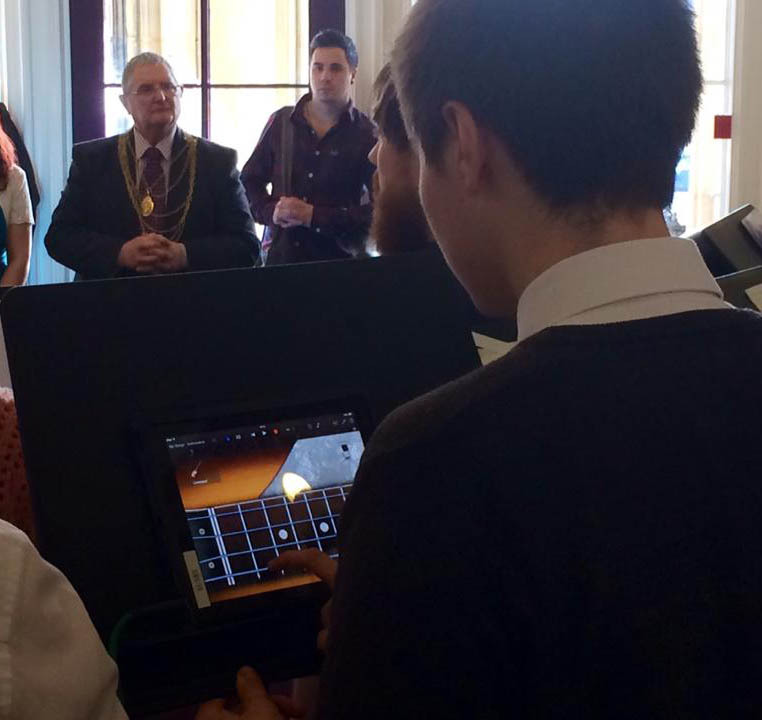 For this #iPadband the music teacher, Mr.Thomas, was appointed as backing singer for the performance for the Civic Mayor! Luckily he had a fine voice and the Mayor was suitably impressed by the performance overall, and praised the performance saying he “never would have thought such a thing would be possible with the technology”. As well as the performance for the Doncaster Civic Mayor, this #ipadband performed at the Yorkshire leg of the Apple Leadership Tour held at Doncaster Racecourse. The performance was met with great praise from the delegate teachers.